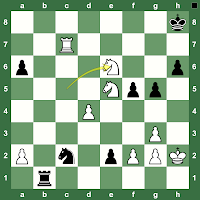 World Chess Championship 2013 video update: A cool shower to wash away the Chennai heat impacts not Magnus Carlsen's killer instinct. Boyish charms aside, Magnus Carlsen says, "I am the favourite in any tournament I play. I have the supreme belief if I do my best I will win." It's a short interview of the Norwegian chess talent, but you could watch it a couple of times over! Don't forget to vote in our online poll on the column top right on who will win the World Chess Championship 2013: Viswanathan Anand or Magnus Carlsen? World Chess Championship 2013 GM interview - Grandmaster Peter Svidler - who just won the Russian Chess Championship for a record seventh time - has said Magnus Carlsen will not have "adjustment problems" playing in India as Anna Ushenina recently had while playing in China against Hou Yifan for the Women's World Chess Championship 2013. 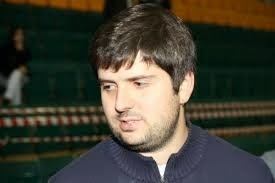 GM Peter Svidler was quoted in an interview given to the Russian Chess Federation and transcribed by Chess-News.ru. 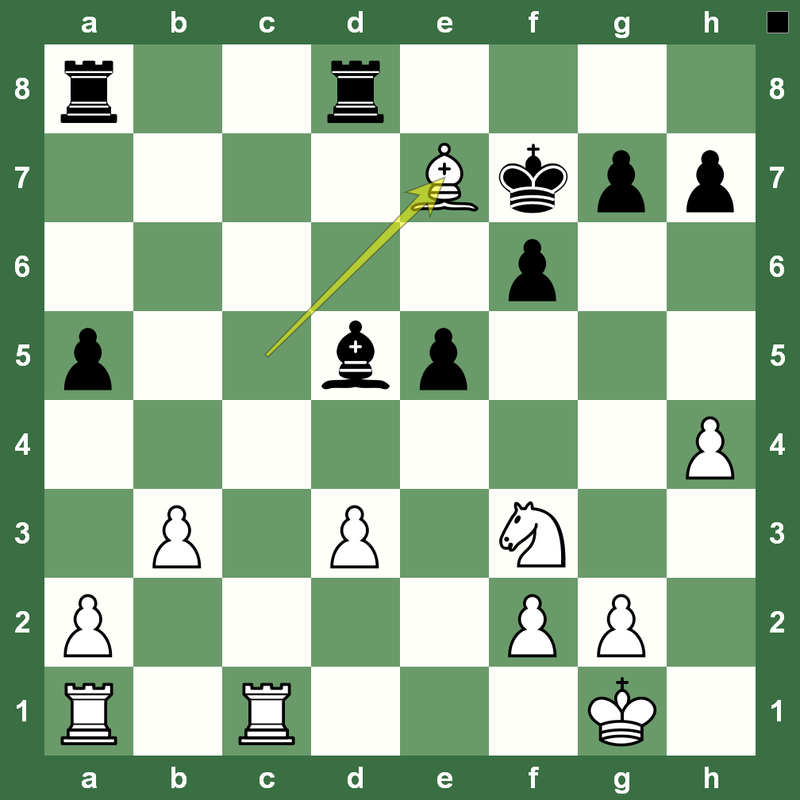 "A lot will depend on how smoothly openings work for Anand as there is only one "opening master" in this match. If such an opening balance will be maintained then the match will be interesting and approximately equal. If Magnus has worked precisely on that part and if he manages to "catch" Anand in the opening as white, I should say it will be a hard life for Vishy. From the pure playing point of view Magnus is stronger and he has more energy. [...] Nonetheless, Anand is certainly experienced in not only playing the matches but in preparing to them. I guess it won't be easy to fight with his opening preparation. And then anything is possible. Well, we'll see.. It should be interesting!" 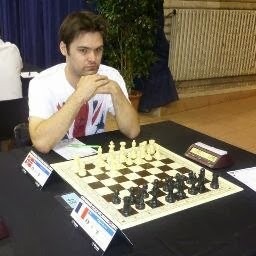 "As regards Ushenina - Hou Yifan match, nothing similar will happen in Chennai - that's for sure. If even 25% of what Alexander Khalifman has said is truth... 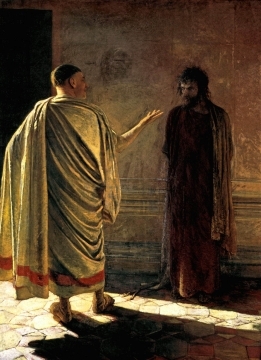 I suspect even more is truth for I know him for a long already and he is definitely not the one loving artistic exaggerations. [...] There's a huge difference between the powerful team helping Magnus and what support was offered to Ushenina. Anna had professional seconds, but as I see it Ukrainian chess Federation didn't want to take responsibility and publish any official statement: to have some position and say: "Hey, that's not how it should work!" Magnus' team will tell the organizers what they think the very minute anything will go wrong in India. That's why I am sure that there won't even be an attempt of doing something similar." "I guess the food and water danger is too exaggerated. All that craze that the Norwegian team will have its own cook... Maybe that's a good decision, but I mean the chance of getting poisoned in 5-star hotel in India is not bigger than in any other 5-star hotel anywhere else. Remembering World Chess Cup 2011, we were staying in Hotel Hyatt and they had six restaurants with different cuisine only on the first floor; and the food was very tasty. We had no problems - it's just funny to talk about that. The reputation of India as a country in which you can eat something and then be on pills the entire tournament is stereotypical and goes back to the time when people didn't live in good hotels." 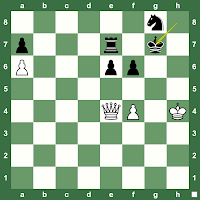 *Note: The Alexander Khalifman reference is to Women's World Chess Champion Anna Ushenina losing her crown a few weeks back to Hou Yifan in China. World Chess Championship 2013 interviews: Nigel Farndale meets the 22-year-old Norwegian Magnus Carlsen who next month aims to become world chess champion. Here are the best quotes from Nigel Farndale's full interview in The Guardian. "Not really," he says in a low, measured voice, traceried with Norwegian. "But I find it more difficult to play opponents who I feel, for whatever reason, aren't approaching the games with a sufficient level of seriousness. For instance, once at a big tournament I saw a player I was due to play the next day have a couple of drinks. Knowing that just ruined my concentration, because I thought how can I play seriously against someone who has drinks the day before?" "No, I am not. I'm just really, really good at what I do. I'm fortunate to do something I love, but I'm not a genius." "I guess I'm pretty laid back." "But I am also determined when it comes to chess. I don't like conflicts, apart from on the board. In general I am very different to how I am on the board." "Yes definitely, especially with my sisters, because they are also stubborn." An example of this stubbornness was his decision to forgo a university education. 'My parents wanted me to go, but at some point I lost interest in formal education and they were OK with it. I wasn't paying much attention so I wasn't great at school. Yes, in my later years at school I was bored, not necessarily because it was too easy, but because it didn't interest me." "I use them to analyse my openings, but in tournaments my assumption is that I am the best player there. That is why I seek positions where computer analysis can't play that much of a role, or where I can analyse it better than a computer." "I never had any fun playing computers. It doesn't bring me satisfaction to beat them and losing to them is always painful." "Yeah, but I think every loss damages Kasparov. 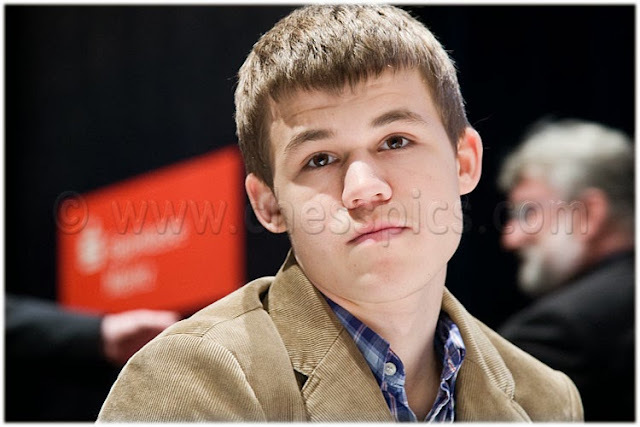 He's one of those people," says Carlsen. "He didn't think he was going to lose to Deep Blue, but towards the end of the match he was nervous and second guessing himself all the time, and I think basically he beat himself." On fatigue and getting headaches? "No, not really, but I do get tired. I can't sit there for seven hours straight. I need to freshen my mind by going for a walk. ""The pacing is to let my mind wander before getting back to the game with a fresh perspective." Does he ever feel like he's being driven mad? "A little, maybe. But if I study a position for an hour then I am usually going in loops and I'm probably not going to come up with something useful. I usually know what I am going to do after 10 seconds; the rest is double checking." He calls this process verifying his intuition. "Often I cannot explain a certain move, only know that it feels right, and it seems that my intuition is right more often than not." "Yes, I am quite lazy, I like to sleep in until noon. Most of my friends have jobs." He does "a bit of yoga", although he adds: "So far I haven't thought of any brilliant chess moves while lying down." Does he dream about chess in his sleep? A long sigh. "Occasionally, but these dreams are usually connected with something negative. I am losing to players I never normally lose to and I am arriving late and being defaulted; that happens so many times in my dreams – I don't know why." "I haven't had too much time to develop any serious relationships, recently anyway. I'm hoping after the world championships I will be able to change that." "Yeah. Probably. But it's also nice to…" He trails off. "I really don't like it when I go out and some girls start talking to me about how they played chess with their grandfather as a kid, I can't stand that. It's boring. I want to talk about whatever else." On emotional landscape: does he cry? "I was really upset yesterday when I tried to install my new TV and there was no sound. But that was more frustration. Cry? I don't really. I get angry, but mostly about chess." "It was probably only the chess keeping him sane. He would have gone insane much quicker without it. His story is very different to mine. He had a difficult upbringing. Difficult relationship to his family. I have lived a much more sheltered, normal life. As normal as it could be, considering how much I travelled." "I generally try to eat healthily, avoid quick carbs that make your blood sugar go up and down, which is bad for concentration." He eats one and a half hours before a game, and tries to sleep until as close to the start of the game as possible, "because my mind works best four or five hours after I wake up". World Chess Championship 2013 interviews: The next few weeks are testing times for chess wizard Viswanathan Anand. For, he is busy getting himself ready - both mentally and physically - for his World Championship match against World No. 1 Magnus Carlsen next month in Chennai. In between all the hype around the match, Vishy, as he is called, made it a point to spend time with his family for Navaratri, a festival he loves. He gets talking to us on his upcoming match, inspirations and more. How are you preparing yourself for the big clash against Carlsen? It's been months of preparation - both in terms of chess, and physical work. Now, it's the last mile. So, I'm just taking it easy and getting ready for the match. You were in Chennai recently for Golu celebrations. How did you spend your time? I enjoyed seeing Akhil (son) in his Indian attire at the golus. Navarathri is a beautiful time to be in Chennai. The daily visits, guests, healthy sundals and music... it's all so beautiful. Importantly, Navaratri is a family effort - arranging the dolls and planning the scenic backdrops that go into it. This year has been hectic due to visits to other golus, but it was mainly about Akhil. You must miss Aruna and Akhil a lot when you're away touring. How does Akhil react when you talk to him over the phone and when you're back home, how do you bond with him? We like playing together; there are lots pillow fights at home! He has this book - Happy Hippo Angry Duck - that we love reading together. The trick is to pretend that we are reading it for the first time every time. His favourite pastime now is counting; so, we count anything these days. And, of course, there's Tom and Jerry; while he cheers for Jerry, I support Tom. I love it when he wakes me up in the morning with my brush and says, "Brush teeth." In your career, how have you handled pressure, during and before a match? What are some things you do to ensure that it doesn't get to you? It's very difficult to keep a checklist because always, the one thing you don't want to think about will pop right into the head. I try to keep a cool face and for the rest, just rely on my game. How friendly are you with Carlsen? We are cordial with each other. Finally, would you consider this as the most important match of your career, and why? Each match I play is the most important one yet. 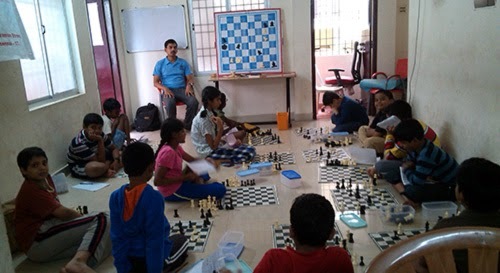 The chess prodigy's manager, Espen Agdestein was quoted as saying that they trust that the organisers would provide the 22-year-old best facilities, but they would like to have people who speak Norwegian in key positions around Carlsen during the World Chess Championship against Viswanathan Anand. For an event like the World Chess Championship, "it is completely natural. The organisers are responsible for the personnel and it is the organisers' responsibility to ensure that Magnus can move freely. But it's okay to have a Norwegian-speaking bodyguard so that Magnus is comfortable," says Espen Agdestein. When World Chess Champion Viswanathan Anand Played Cricket... and Supported Sachin Tendulkar! Do you remember when World Chess Champion Viswanathan Anand picked up the cricket bat, only to leave it? Thankfully, at that! It was for an advertisement video that you will like. Hope you did not miss our complete post on how World Chess Champion Viswanathan Anand is considered a dependable brand ambassador? Meanwhile, these days, India is abuzz with the announcement of cricket star Sachin Tendulkar. The Little Master's final two Tests will clash with the World Chess Championship match between Viswanathan Anand and his Norwegian challenger Magnus Carlsen scheduled to be held in Chennai from November 7 to 28. The first Test against the Caribbeans will be played in Kolkata from November 6 to 10 and the second - Tendulkar's 200th - will be held in Mumbai from November 14 to 18. Hopefully, a cricket fan himself, Viswanathan Anand won't be distracted from the cricket happenings as he plays chess against the World No. 1. It was last year when Sachin Tendulkar was struggling with his form that he received support from five-time World Chess Champion Viswanathan Anand who urged him to continue playing as long as he wanted. “Criticism is fine, but if you still like playing it’s crazy to stop for no reason. In sport there is no question that it favours young people in general. But I really want to play chess still,” the 43-year-old Anand had told reporters here at a promotional event. “I am lucky to have the chance to play and I intend to use it. I imagine the same for him (Tendulkar),” India’s first Grandmaster (1988) said. Terming 40 as just a number, Anand had said it’s funny when one is questioned about age. “The first question people ask is when are you going to retire? And if both of you want to retire, can one of you retire... It’s a little bit funny. In my case, I don’t think there is any fundamental change from December 10, 2009 to December 11, 2010. But it seems to affect the way people see you,” Anand, who turned 43 on December 11, said. The chess wizard clubbed Tendulkar, former India captain Sourav Ganguly, tennis veteran Leander Paes as three top icons he had seen. “In general I have seen a lot of Leander Paes... I might have started a few years earlier but Sachin and I have been there for quite a long time. Sourav was there for quite a good part there as well. I think most of our careers we share together,” he said. “There is a certain wear and tear in physical sport. However, Anand said he did not wish to play beyond 50. “I think 50 is kind of a barrier. For me, I don’t expect to be playing top chess when I am 60. 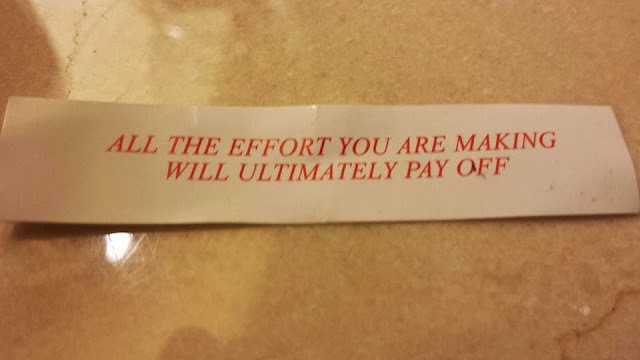 But still there are a few years left. In the meantime, I want to enjoy as much as possible. 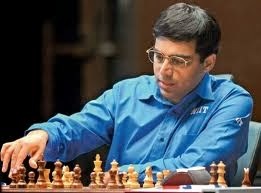 But Anand said he would like to win as many world titles as possible. “I have not fixed any number to it. It’s as many as they will let me in,” he had remarked with a smile. 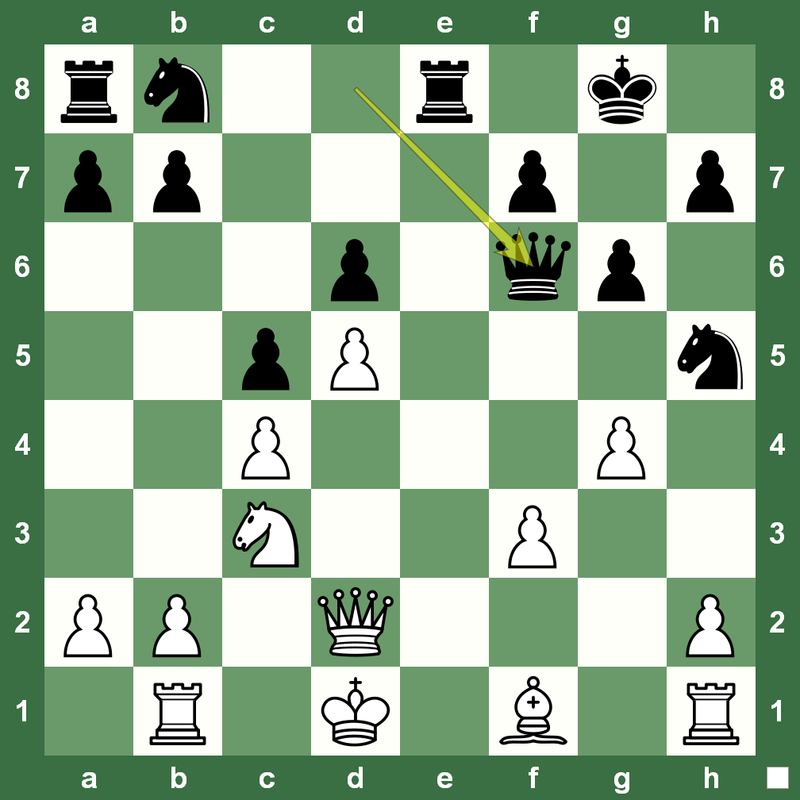 The excitement around the upcoming Anand, Carlsen World Chess Championship 2013 has also taken hold over the World No. 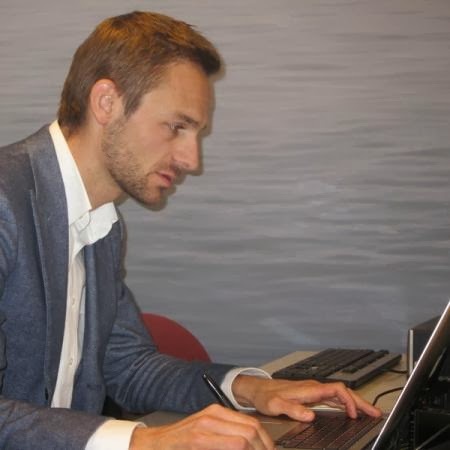 1's personal doctor Brede A. Kvisvik, a chess player (Fide Master) in his own right! He is going to accompany Magnus Carlsen's team to Chennai for the big event considered the most talked-about chess match after the 1972 World Chess Championship between Bobby Fischer and Boris Spassky. The 29-year-old from the town of Frei is going to be close to all the action at the 12 games of the World Chess Championship in Chennai between Viswanathan Anand and Magnus Carlsen beginning November 7. Speaking to Norwegian newspaper Tidens Krav, Kvisvik said, "This summer I got a call from Henrik Carlsen. He asked me if could be part of the team going to India as a doctor and support. I think there is very little chance that Magnus would suffer food poisoning or any typical tropical disease, but you never know. I will take drugs and be prepared for everything to help Carlsen." Tidens Krav (TK) is a local tabloid published in Kristiansund, Norway since 1906. 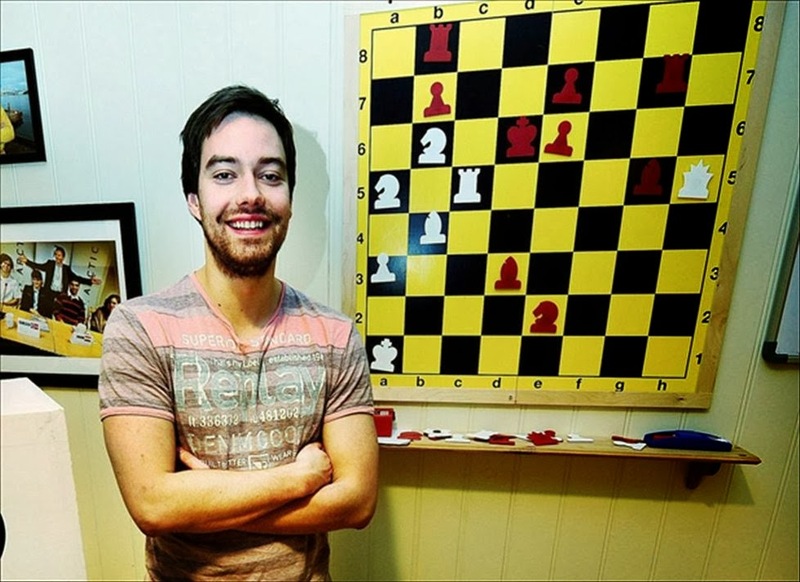 The 29-year-old Kvisvik said he was never in doubt about going with Team Carlsen. "No, of course not. I was floating around on a cloud since I was asked. This is the greatest thing that ever happened to me," says Kvisvik who himself is a formidable name on Norway's list of talented chess players. "Of course as a chess professional, I probably have nothing to contribute at this level," he laughs. 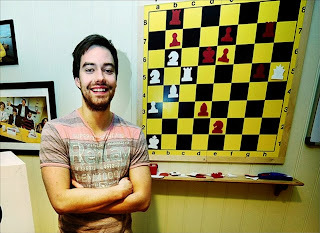 The boy moved away Frei is often associated with Magnus Carlsen in his spare time.Kvisvik has been associated with Magnus Carlsen's group of friends who play play bowling, poker and spend free time together. "That can be in India too. The Norwegian world number one is concerned with the physical training so he can better prepared for long chess games. I am at his disposable whatever Magnus wishes. It could be tennis, it may be football. There may be other things. The goal is of course that I should be the doctor," says Kvisvik. OSSINING, N.Y., Oct. 14, 2013 /PRNewswire/ -- As people age, they often experience memory loss, reduced concentration, and other cognitive problems. Diet and lifestyle, though, can improve cognitive performance and reverse some aspects of brain aging. 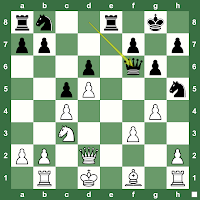 Consider the world chess champion – chess genius, Viswanathan Anand – who in November will defend his title against the highest rated player in chess history, Magnus Carlsen. 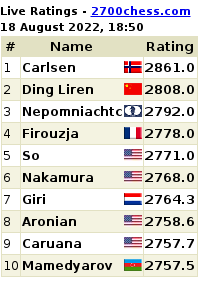 Pundits predict a Carlsen win, based on the recent games and tournament scores of the two players. Carlsen beat Anand handily in their most recent encounter in June. 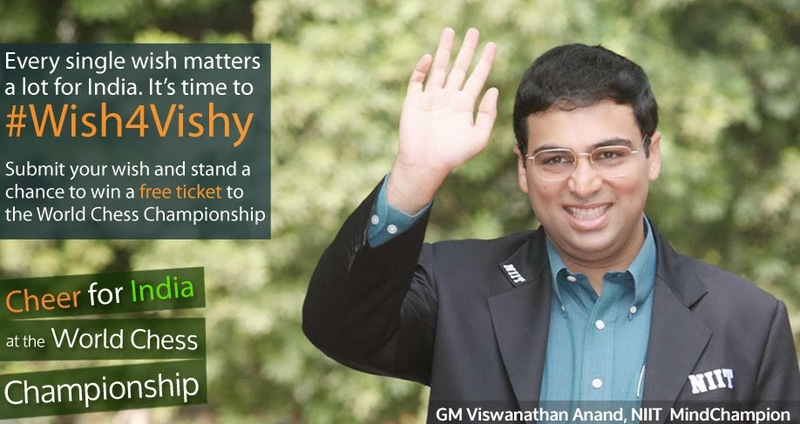 But Anand should not be counted out. He has successfully defended his world championship title many times and is known for his excellent preparation and creative play. The biggest challenge Anand faces may be physiological. 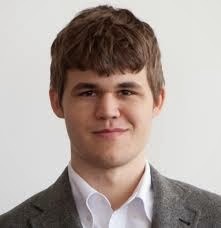 According to brain-aging expert, Dr. Timothy Salthouse, cognitive capabilities usually peak at 22, the very age Carlsen is now. Salthouse finds that on average, by age 28, signs of cognitive decline begin to show up. By 38, signs of memory loss increase. * Most people may not notice these declines until much later, but elite chess players do: Their careers stand or fall on their peak intellectual performance. 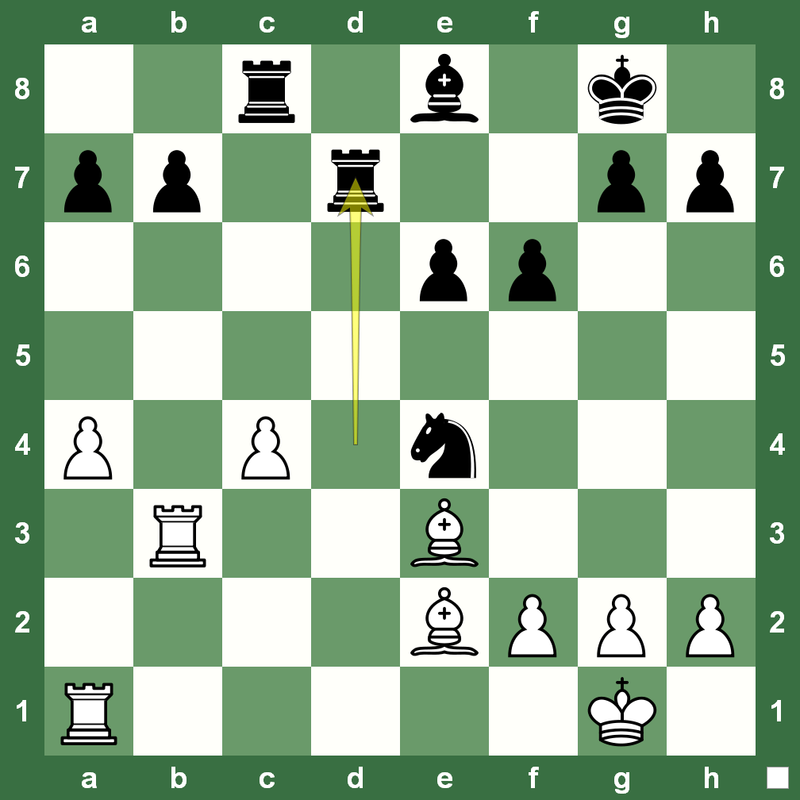 Anand is 43, almost twice Carlsen's age. 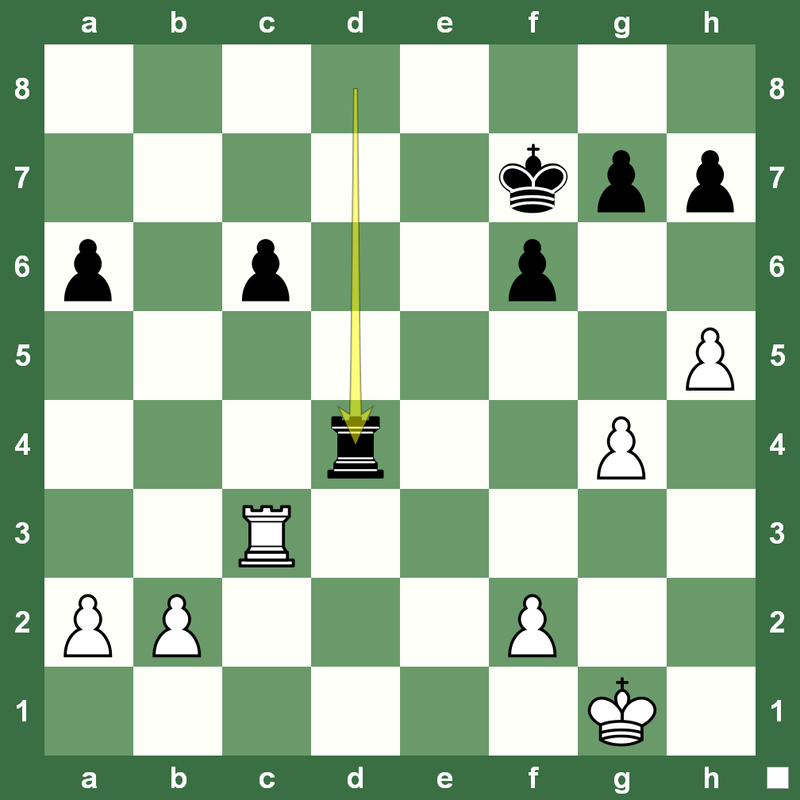 So should chess grandmasters retire at 23? 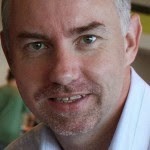 "No," says Paul McGlothin, president of LivingTheCRWay.com and instructor of online classes for cognitive improvement. "Science shows that people can get rid of the brain fog they experience as they get older." If Viswanathan Anand walked in the door and asked how to get an edge for the upcoming match, McGlothin would first ask him to visit a doctor and have a thorough physical exam. With his doctor's OK, one idea Anand would be advised to explore is blood sugar management. Research suggests that keeping blood glucose at healthful levels improves short-term intellectual performance and protects against age-related decline of critical parts of the brain that are important for memory and decision making. 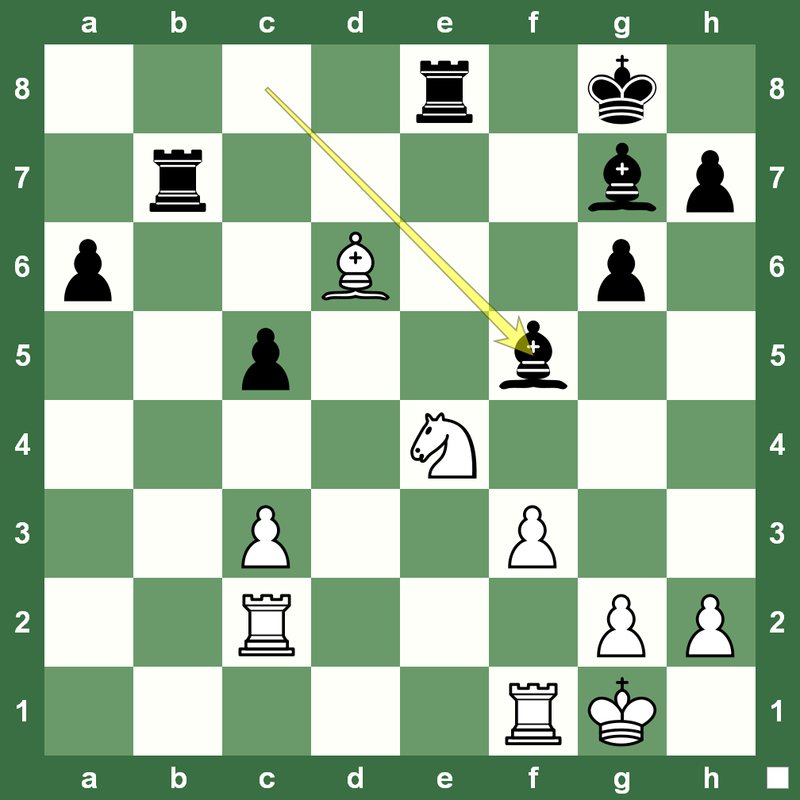 Further: A pre-game exercise regimen, planned for Anand, could help him relax and improve concentration. Who wins the world chess championship may not matter to some people, but maintaining a healthy brain interests nearly everyone. People need their brains to function well for everything from remembering names to excelling at work. The same principles Anand can apply to retaining the world chess championship are helpful for any endeavor. * Salthouse TA. When does age-related cognitive decline begin? Neurobiology of Aging. 2009 Apr;30(4):507-14. doi: 10.1016/j.neurobiolaging.2008.09.023. (http://store.livingthecrway.com/cr-way-brain-booster-membership/) focuses on planning diet and lifestyle for optimal mental performance. LivingTheCRWay.com is a holistic online community. Members enjoy delicious, healthful lifestyles that include live, friendly support. Every month world-leading scientists and doctors hold teleconferences for LivingTheWay.com members. October includes Alzheimer's Disease (AD) expert, Dr. Dale Bredesen, Professor and Founding President of the Buck Institute for Research on Aging, who will discuss what leads to AD; internist, nutritionist, nephrologist Dr. Michael Rosen, Director of The Kidney Stone Center at the Mount Kisco (NY) Medical Group, will focus on the value of a variety of lab tests and health markers. "Yes, I'm going to talk to him. I think he has some advice for me. It is true that Kasparov is not part of my team, but I will consult him before the World Championship. He knows Anand better than anyone. 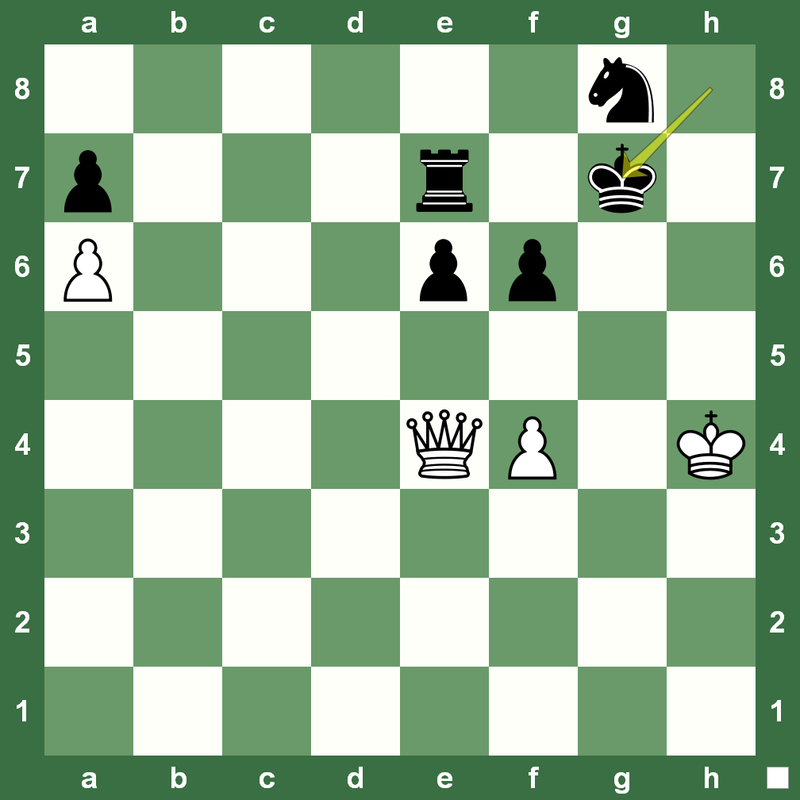 He beat Anand in a World Championship Match in 1995, Anand never managed to beat Kasparov in a long time." This is what World No. 1 Magnus Carlsen told Norwegian newspaper VG a few hours back. Earlier this year, Carlsen had maintained that Garry Kasparov would not be a part of his team as he prepares for the World Chess Championship. Carlsen and Kasparov together in Norway in 2010. Carlsen said, "I have always said that it was appropriate to ask him (Kasparov) for help and advice at a World Championship if and when it becomes necessary. And now it's there!" VG states that they do not know how Carlsen will seek this advice - in person, via skype or in some other way. It is widely believed that Carlsen could not handle Kasparov's strict tutelage and even told his father, "Get me out of this." That was after the Corus Chess Tournament, 2010 and "revealed" in a 2011 Carlsen biography Smarte trekk. 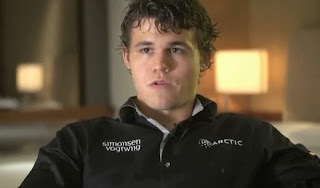 Magnus Carlsen ('Smart move. 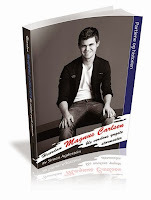 Magnus Carlsen'). 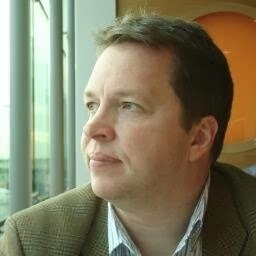 For Smarte trekk, daily newspaper journalist Hallgeir Opedal followed Carlsen for a year. 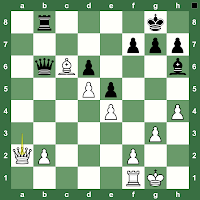 FROM THE ARCHIVES @ CHESS MAGAZINE BLACK & WHITE: The venue for the 2012 World Chess Championship between India's reigning world chess champion and challenger Israel's Boris Gelfand was a unique one: The Tretyakov State Gallery in Moscow. Art and chess: They indeed go together. Theory of technique, style, and methods all find a fascinating interpretation – a unique one at that – in a master's hands: both in art and chess. Every single position during a chess game is a work of art. Every move creates a new painting. Every chess player is an artist. Like for art, interpretation is everything. 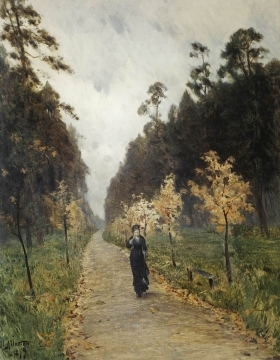 The State Tretyakov Gallery is one of the most famous museums in the world. 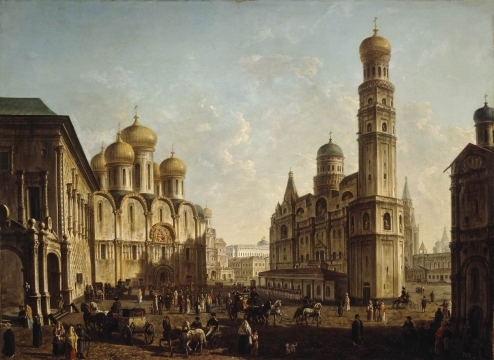 Its collection highlights Russian art with exclusive completeness from the ancient time (11-12th century) to the present day. Shilpa Mehra dedicates masterpieces from the Tretyakov Gallery to each of the 12 games of classical control at the 2012 World Chess Championship between Viswanathan Anand and Boris Gelfand. 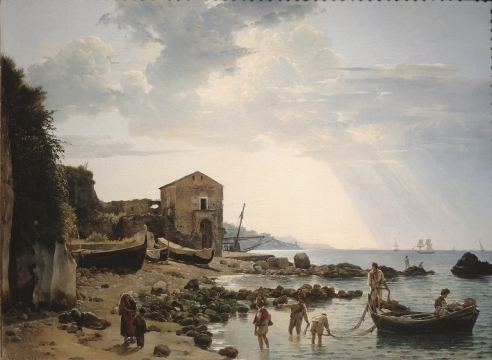 Shchedrin creates a romantic image of Italy as an 'earthly paradise'. It is full of harmony: the sun and light. Favorite motifs of the artist - the verandah, overgrown with vines, cozy coves, bays and caves, where a person is in a state of absolute inner peace and complete fusion with the landscape plan. 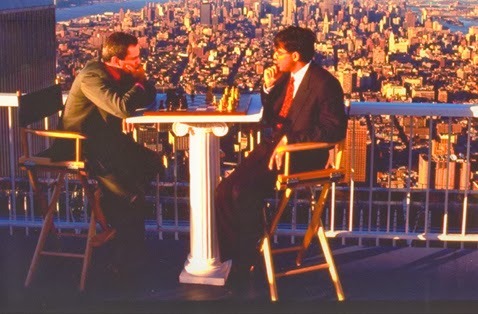 Vishy and Gelfand see that “everything is in proportion to man, according to the rhythm of his life” and the balance is perfect, so the game must end as a draw. Dynamic brush strokes but no people in the painting. The endgame position looks like it has much more potential. You feel the sense of missing romance as the rose of sky at twilight is juxtaposed with the storm clouds. But, there is nothing more to the position. Maybe, because it's just the second game. Even as Vishy and Gelfand settle for a draw, you know the dynamism of the game would flow into the rest of the tournament and a conflict is just brewing like Bryullov painted it. There is nothing more to it and nothing less to it. Your interpretation of Kabakov's creation? 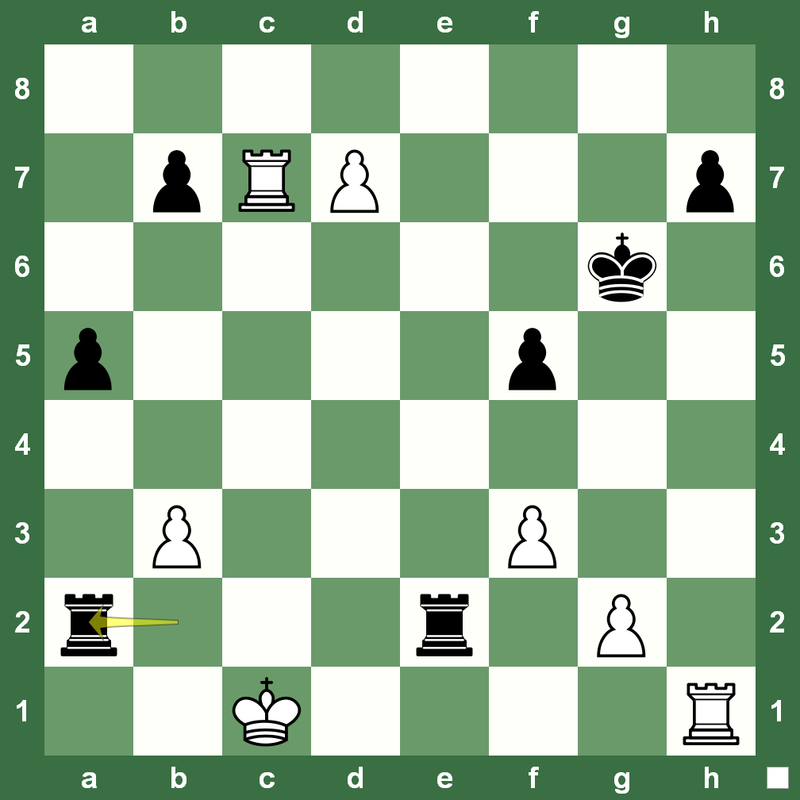 Gelfand's two rooks keep the draw even as White's machine gun 'Queen' is kept in check! Only one outcome was possible and it happened – Draw. We dedicate the d-file position to the Leander Tower in Constantinople. 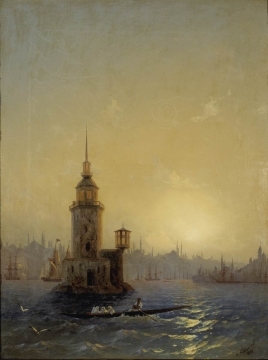 There are many legends and stories about the Maiden's Tower (Turkish: Kız Kulesi) also known since the medieval Byzantine period as Leander's Tower (Tower of Leandros). It is a tower lying on a small islet located at the southern entrance of Bosphorus strait 200 m (220 yd) off the coast of Üsküdar in Istanbul, Turkey. We had varying interpretations of the game after 18.Qb1, but Vishy and Gelfand interpreted the 'endgame painting' as a draw. 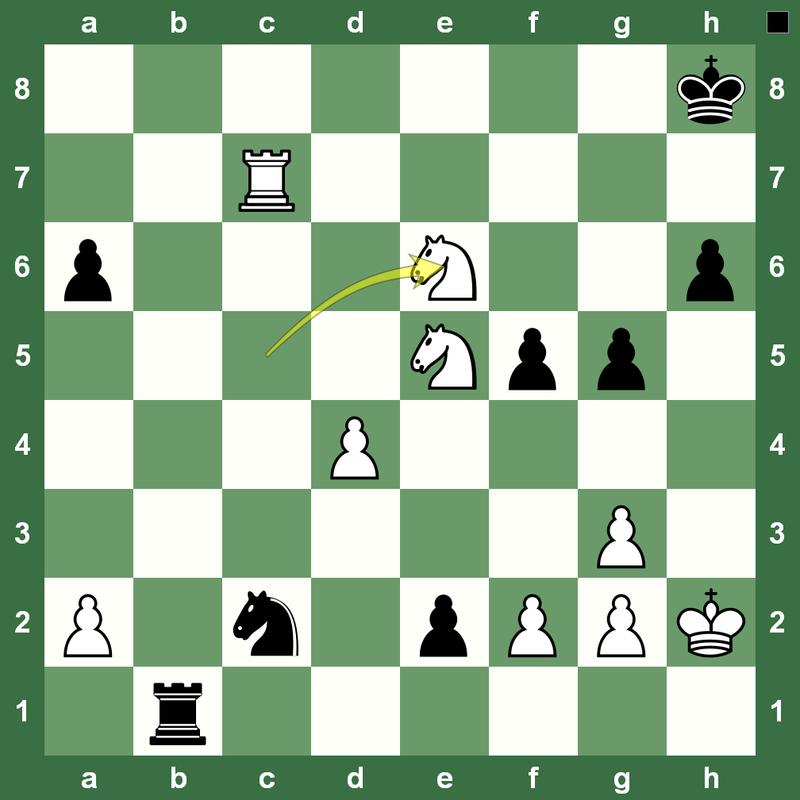 In the game, the Black Queen is left asking the White Queen, once I capture the b2 pawn what is the truth about the Bishop on c6? And, the game was a draw. The black square became a symbol of the new understanding of creativity in the 20th century. While the media and the fans wonder, can draws really make a world chess championship, Vishy and Gelfand go on. Something apparently meaningless, has profound meaning. Even draws mean that sublime chess games have been played. 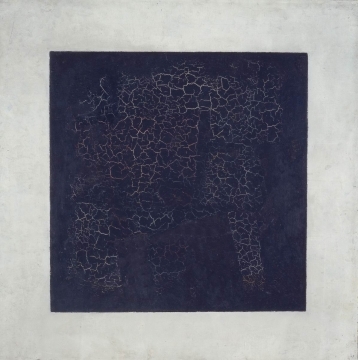 The black square literally was used by Malevich to close down the history of figurative art. Black is the absence of colour and white is the melding of all colours. 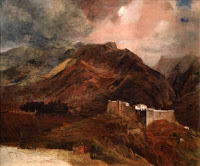 Such a solution encapsulates the potential of any and all paintings. Don't approach the painting with the viewer’s usual criteria of beautiful/not beautiful, lively/not lively, I like it/I don’t like it. Don't approach the world chess championship so far as good or bad, exciting or not... 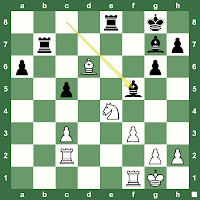 The sixth draw by Vishy and Gelfand but an important chess game. The final endgame motif with Boris Gelfand's knights charging straight on to deliver checkmate takes you straight to Vasnetsov's masterpiece. 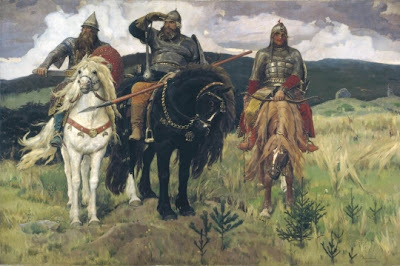 Having revived the images of Old Russia's legendary defenders, mighty in their spiritual power, such as Ilya Muromets, Dobrynya Nikitich and Alyosha Popovich, Vasnetsov attempted at the turn of the 20th century to bridge the heroic past of the Russian people and its great future. Indeed Gelfand's steeds show the proud fighting spirit and desire to defend the motherland of Russia. 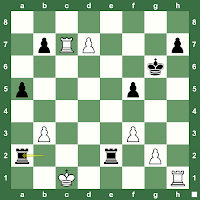 Gelfand wins. 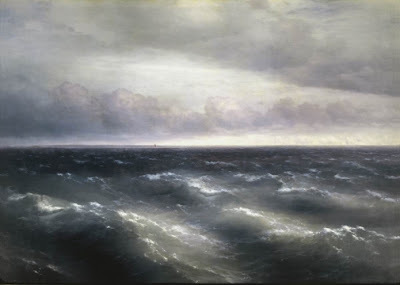 Aivazovsky was the best known and most celebrated Russian artist of marine paintings. In this masterpiece, in the foreground there is a wave with whitecaps of foam – the “Aivazovsky wave” as his contemporaries called it. The palette is unusually rich. It brings together greens, silver tones, emerald tints and extends to the darkening deep blues at the horizon. In the centre we see a lone sailboat, symbol of man’s insignificance before the universe and at the same time a sign of the Romantic Wanderlust. Wanderlust was the undoing of the Black Queen. The Queen went to f6 completely oblivious of the storm brewing in the sea that would destroy everything. 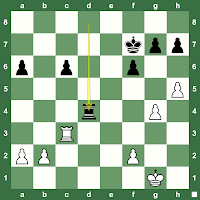 Gelfand loses to Anand in 17 moves in a tragic disaster. 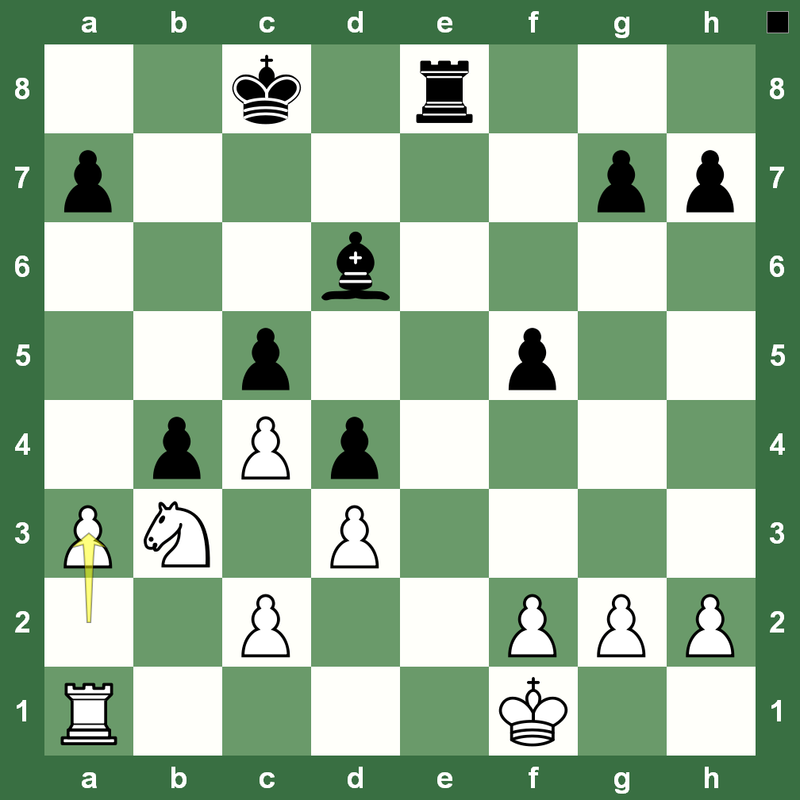 We found two great masterpieces to dedicate to Game 9 of the Anand-Gelfand 2012 World Chess Championship. 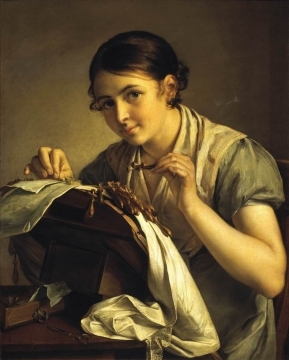 On the one hand we have the graceful 'lace maker'. Her figure and movements are full of grace. 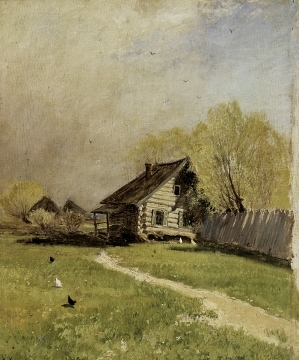 Tropinin embodied the poetry of simplicity and pleasant home life. Quite like the Black Queen. But, Anand's fortress, rather cathedral reminds us of the Cathedral Square in the Moscow Kremlin as Anand's Knight, Rook, and King sit safely looking out on the battleground. Game ended in a draw. Lots of activity in the centre of the board. Game 10 had all the autumn leaves falling and eventually, the Black King stands alone wondering if he should walk the lonely path that might “seem to be entering Nature's magnificent cathedral, where the earthly and heavenly paths are within reach of each other. The end position is surely like Grekov's Gun Cart. 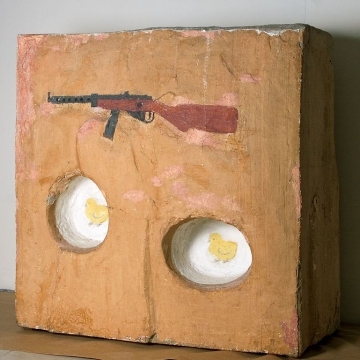 This was one the artist's most popular paintings with the “machine-gun cart celebrated in songs”. It is a highly mobile firepower for the cavalry. 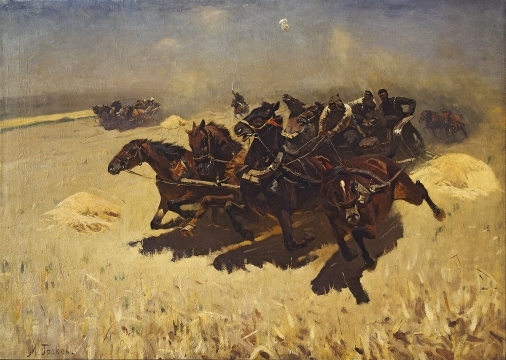 In the work we see everything – movement and blast…conveyed by quick brush strokes, but with the necessary measure of definition that shows the tense state of the gunners. 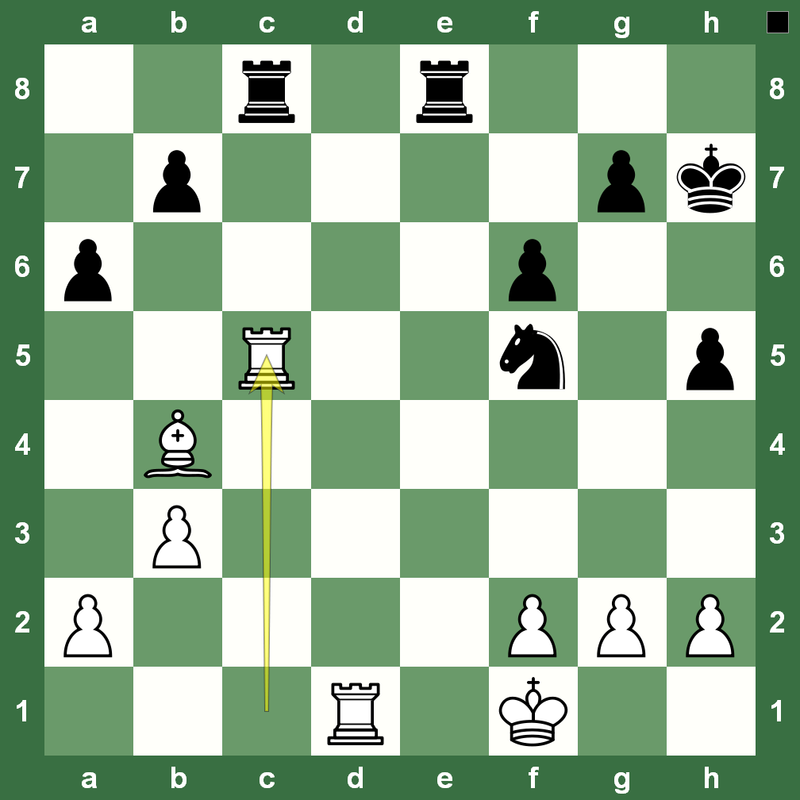 The complex rhythm of the endgame position with a 'full gun cart' is there, but we know there's nothing more to it. The image is integrally that of an eventual draw. The fans and commentators were suddenly all taken aback. No, it is early spring, the game has just begun can it be abandoned as a draw. Is there not the full potential of the spring waiting, a battle awaiting? 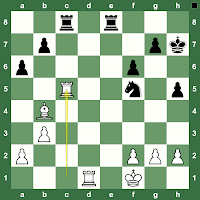 Gelfand and Anand decided otherwise. 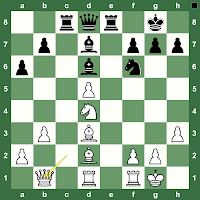 They had heralded the spring of modern chess by giving to the world 12 nice games (results notwithstanding) at the 2012 world chess championship! 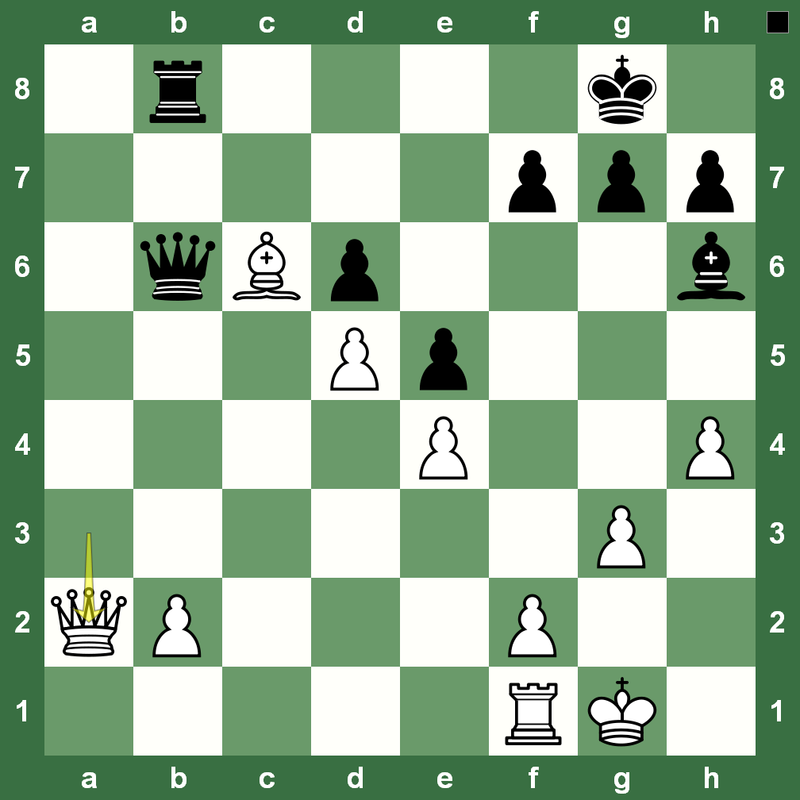 A new season – where a blitz and rapid tiebreak – would decide who would reign as the chess king for the seasons to come! 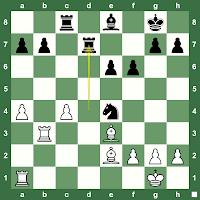 The excellent live broadcast of 2012 World Chess Championship and all the games are available at the 2012 Anand-Gelfand world chess championship at the official website. World No. 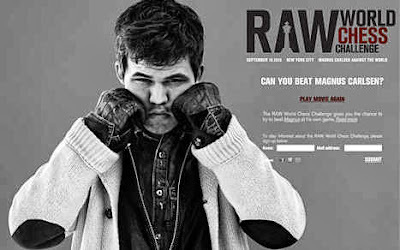 1 Magnus Carlsen, who was back in Oslo, Norway after winning the Sinquefield Chess Cup in Saint Louis, US, will fly back to the United States this Saturday. 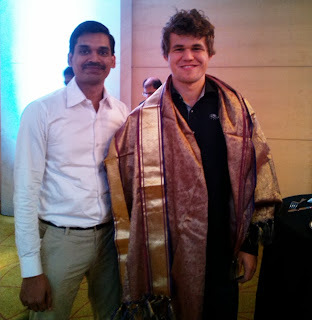 Carlsen will proceed to a training camp from the United States and then directly go to Chennai, India - the venue of the World Chess Championship 2013 against Viswanathan Anand. - What is important now is to relax and not get too nervous. towards the World Championship. It's about finding the right feeling and maintaining harmony. - The three-week training camp will take place in a place where the climate and time zone are closer to what awaits in India. But, details of the training camp will be held kept secret. - We want to be sure that it is a private thing, and I am shielded from the outside world. - The team could include four to five people. The names are not being announced so as not to give Anand a competitive advantage. We will not give any more information than necessary. 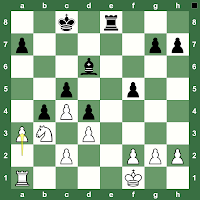 - I look at chess and meet regularly with Jon Ludvig Hammer. The first two weeks will consist of intense preparation with seven to eight hours daily of chess preparation and some physical exercise. The last week before the World Championship match will be more relaxed. 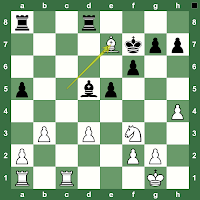 Here is the fourth and final part of a special chess training video series featuring the best moments from the World Chess Championship 2012: Viswanathan Anand vs Boris Gelfand in Moscow, Russia. This instructive video is by special arrangement with Grandmaster Igor Smirnov and we hope it gives you tips and tricks to improve your own chess.